Artists are creatures who need the right environment for inspiration and creative juices to flow. An artist based in Brighton, had the perfect natural and built surroundings to create some amazing artwork – however she lacked the space. Working with the eDEN Garden Room team the artist wanted to design a space which would give ample area to paint (using her distinctive pallet knife style) ample area to display the works and a practical area to clean and shower after painting into the night! 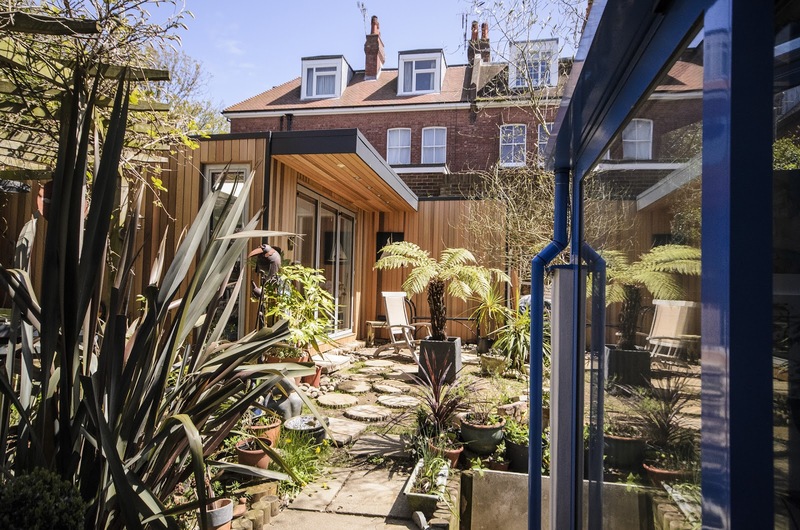 The artist lived in a flat and had the freehold for the garden, the idea was to gain planning permission to build the studio in the garden. The garden room company took on the responsibility for this task, managing the paperwork and dealing with the council queries. The result was permission obtained within 6 weeks of submission. The build of the studio started 4 weeks later and the garden studio started taking shape very quickly. Once the initial structure was in place the glazing was inserted, the bi-fold doors to the front, long side window and roof light all allow an abundance of natural light to flood into the studio. 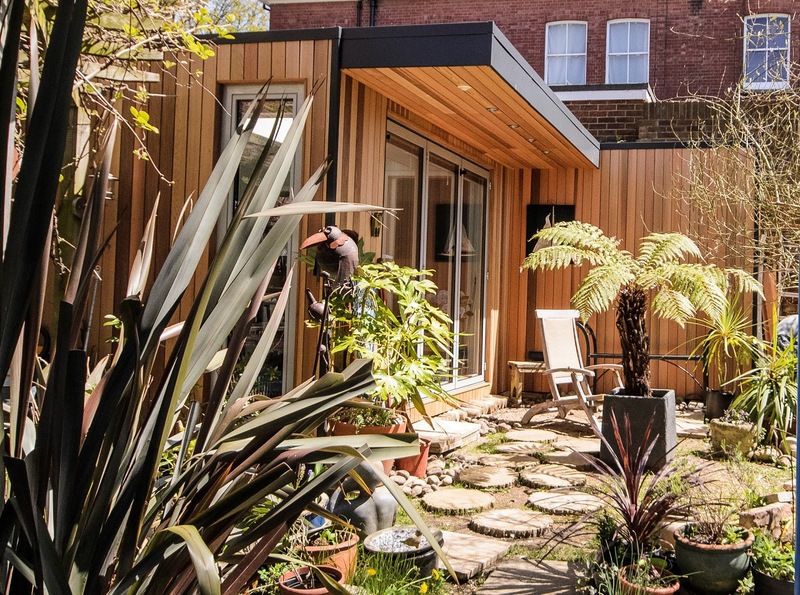 Natural light is the life blood of an artist and an intrinsic part of the garden studio design. The studio is divided into three rooms, one for painting and display, another for storage and then the magnificent wet room.